A few months ago, the Sacramento-area state senator Bob Archuleta (D) proposed a bill that follows the lead of other Western states that permits motorists to salvage the meat of roadkill wild game they hit. But as is usually the case when a bill gets introduced, there’s bound to be some opposed to it, as Sacramento’s CBS TV affiliate reports. Express serious concern about allowing “unlicensed, untrained, and unregulated citizens to engage in the killing of injured roadside wildlife” particularly the safety issue raised by firearms being used on the side of the road which conflicts with existing state law. 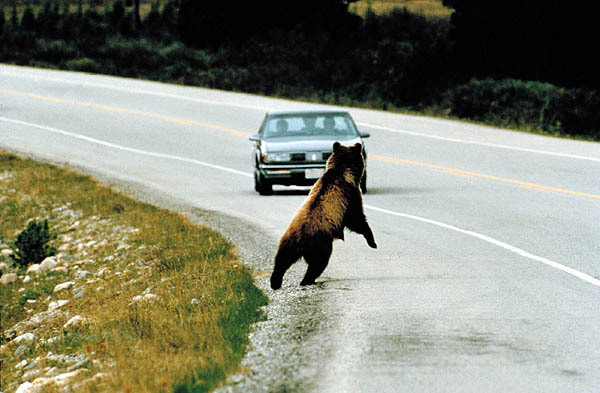 Express concern about the general public putting themselves at risk by stopping and exiting a vehicle on the side of the road in order to procure the roadkill. apprehension of those illegally possessing wildlife or poaching more difficult than it is already.